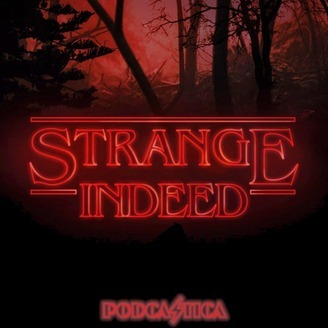 A Podcast Dedicated to Netflix Original Shows like Stranger Things, Black Mirror, and Altered Carbon. 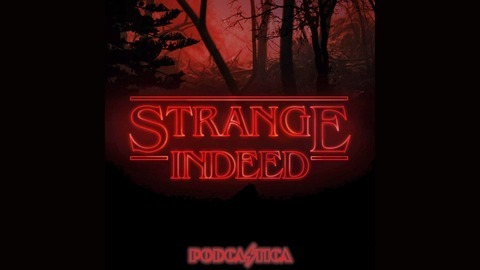 Rima Jo and Shawn will break down each episode of Stranger Things, Black Mirror, Altered Carbon and other Netflix original shows by going through a Top 5, Stranger Things , Black Mirror, Altered Carbon and Netflix News, Listener Feedback and so much more. Discover the strangeness that comes from all of the amazing Netflix Original Shows. Also follow Strange Indeed to get all the best insight into Hulu's Original Show Castle Rock. Rima Jo and Shawn break down Castle Rock as well as take letters from Shawshank Prison in the listener feedback section of the Podcast. This is the ultimate review of the Seventh and Eighth episode of Netflix's new show "The Umbrella Academy" titled "The Day That Was" and "I Heard a Rumor". Rima and Shawn break down their top five from the episodes as well as share notes about the episode. Tune in to hear the News from Netflix and The Umbrella Academy. Then listen to the Messages from the other 36 as Rima and Shawn share listener feedback. Follow us as we enroll at the Umbrella Academy in Episode 84 "The Day That Was" (The Umbrella Academy S1E07) and "I Heard a Rumor" (The Umbrella Academy S1E08). Check out Shawn's other Podcast The Language of Bromance. If you are planning on buying anything from Amazon use our Amazon Link. Are you on a health and fitness journey? Why not get paid for it? Do you wanna get Gains like Shawn? Email insideout.fitlife1@gmail.com for more information.